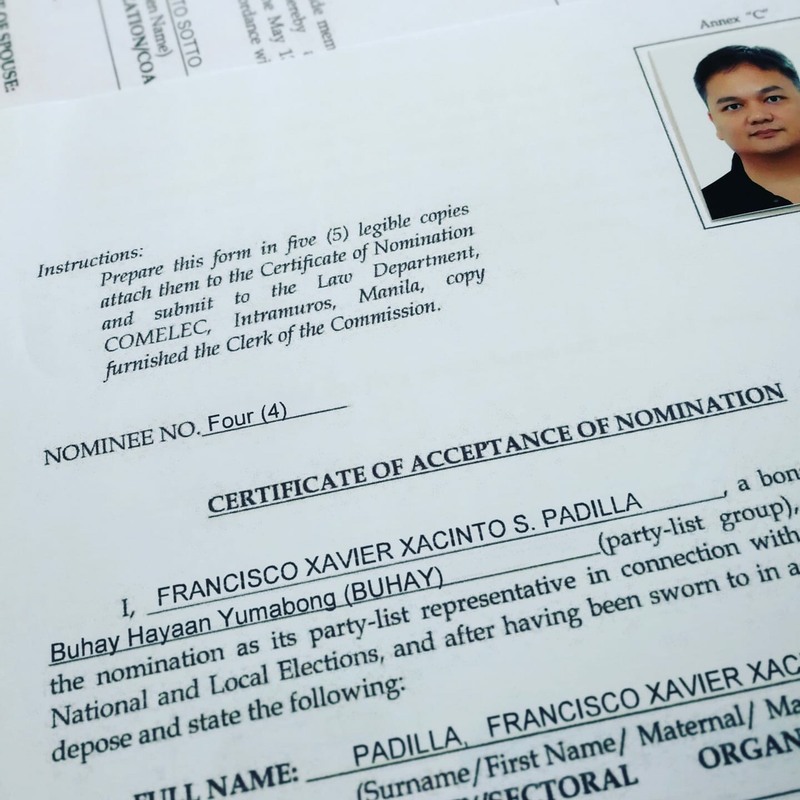 It is election time again and for the third election in a row, I am going with Buhay Party List! I started being a nominee for Buhay in 2013, and then again in 2016. And for the third time, again, this 2019. This is not a political move on my part – I am still very much busy and happy with my job as Home Office Director. This is more as support for the advocacy and thrust of Buhay. They are, in fact, probably the only ones who defend family and life in Congress! They need all the support and encouragement we can give them. When a party list becomes the number 1 winner, that party list gets three seats. That happened with Buhay in 2013, and Michael Velarde, Lito Atienza and Irwin Tieng were the Representatives. If you aren’t number one, then some confusing equation allocates 1 or 2 seats to you, depending on percentage of votes cast. In 2016, Buhay got 2 seats and so Michael Velarde and Lito Atienza were re-elected. For both of those, and now, I am number 4. The reservist. So Buhay gets first place, number 1 to 3 get to sit in Congress, and I am the spare 🙂 As I said, this is more of my support and advocacy to push being pro-life in government. I have no dreams of the first three numbers having to relinquish their seats. That would actually make me more anxious than excited. So, please, this 2019, vote BUHAY. We fight for families. We fight for life. We fight for all things good and moral. And we all know, in our country today, we need people like that.